This home has so much appeal inside and out plus a lot of living space. Enter the attractive Foyer into the Great Rm that has a fireplace, vaulted ceiling and is open to the dining area and Kitchen. The Kitchen has hardwood floor, cherry cabinets, decorative stainless back splash, pantry and stainless appliances. The Master Suite is spacious with a fabulous bath and double trey ceiling. The bath has double sink, whirlpool tub, separate shower, glass block window, private commode area and walk-in closet. The split floor plan with 2 other bedrooms and full bath complete the main level. The finished lower level is a walkout with roomy Family Rm, computer nook, 4th bedroom and a 3rd full bath. Relax on the deck off of the upstairs Great Rm or patio off the Family Rm on lower level. Todds Station is a subdivision within the city of Simpsonville, Kentucky. There are currently 4 Homes for Sale within Todds Station, with asking prices ranging from $275,000 to $299,950. The average list price per square foot of the available inventory in Todds Station is $125, which is below the Simpsonville average of $253. The Average Sales price of all sold real estate in this subdivision for the past year is $237,686. Recent comparable homes have been selling for 98.35% of their asking price. Waterfront homes represent 100.00% of the available Todds Station inventory. The population of Simpsonville, according to the 2010 Census, is 2,484. The total number of households in the zip code of Todds Station is 1,833, with an average household size for of 2.59 people. The total number of renter households within the zip code of 40067 is 333, which means that 81.83% of households in this zipcode are owner occupant households. 190 Lincoln Station Dr, Simpsonville KY 40067 is a Home, with 4 bedrooms which is recently sold, it has 1,980 sqft, 60X109X80X108 sized lot, and 2 1/2 Car Garage,Attached,Entry Front parking. 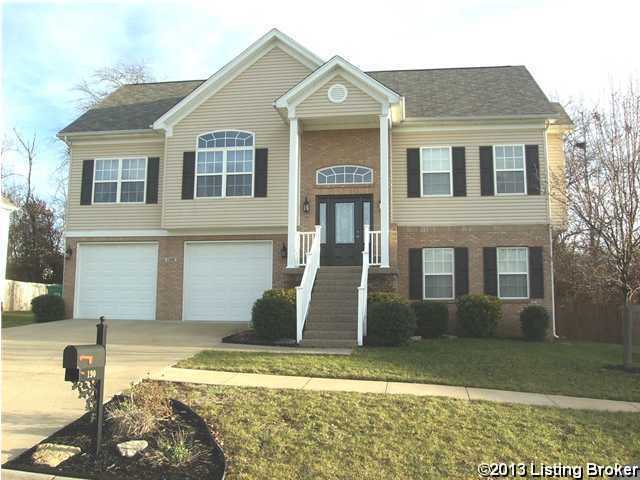 A comparable Home, has 3 bedrooms and 2.5 baths, it was built in and is located at 156 Lincoln Station Dr Simpsonville KY 40067 and for sale by its owner at $ 289,950. This home is located in the city of Simpsonville , in zip code 40067, this Shelby County Home, it is in the TODDS STATION Subdivision, and Rolling Ridge are nearby neighborhoods.